The present study focuses on the biochemical responses of the aquatic plant duckweed (Spirodela polyrhiza L.) to zinc oxide nanoparticles (ZnO NPs). Laboratory experiments were performed using a 96-h exposure to 25-nm NPs at different concentrations (0, 1, 10, and 50 mg/L). 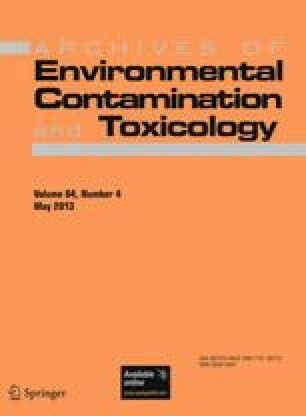 Growth, chlorophyll-to-pheophytin ratio (D665/D665a) and activities of superoxide dismutase, catalase, peroxidase (POD), and Na+, K+-ATPase were determined as indices to evaluate the toxicity of NPs in the culture medium. To understand better whether the Zn2+ released from the ZnO NP suspensions plays a key role in toxicity of the NPs, we investigated particle aggregation and dissolution in the medium. Furthermore, two exposure treatments for the group with the highest concentration (50 mg/L) were performed: (1) exposure for the full 96 h (50a treatment) and (2) the medium being replaced with culture medium without NPs after 12 h (50b treatment). Our results indicate that ZnO NPs induced adverse effects in S. polyrhiza at the concentration of 50 mg/L in the culture medium. Zn2+ released from the NPs might be the main source of its toxicity to this species. This work was supported by Shandong Outstanding Young Scientist Award Fund (Grant No. BS2010SF005), Dr. Start Fund of Linyi University (Grant No. BS201009), and a Project of Shandong Province Higher Educational Science and Technology Program (Grant No. J10LE57). The authors are grateful to Qingcai Xu for ion determination and Richard A. Manderville for assistance and helpful advice on the manuscript.